Honey, I shrunk the consensus! 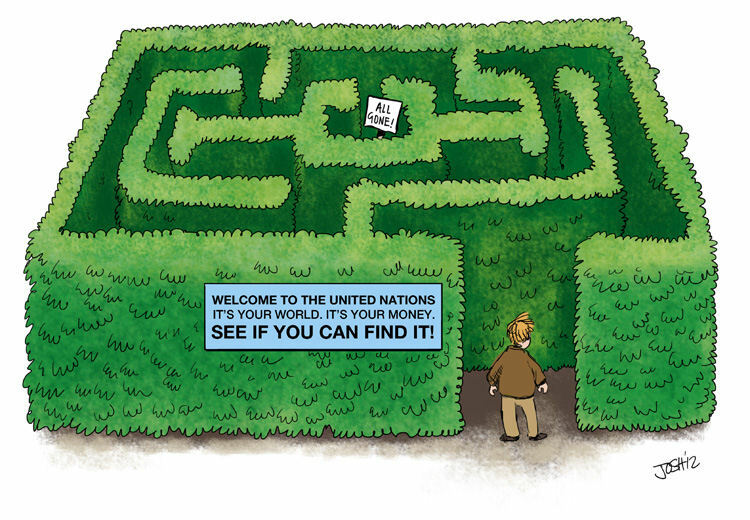 Once upon a time, there was an Intergovernmental Panel on Climate Change (IPCC). They put their heads together with those of a number of climate scientists and decided in their wisdom (for they were very wise, or so they told us) that what the world really needs is a consensus. 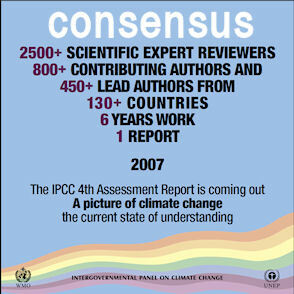 Not just any old consensus, of course – this one would be a “scientific consensus”. It was introduced with much fanfare. And lots of scarey stories – one of the scientists called it a “barrage of intergalactic ballistic missiles“. How scarey is that, eh? The climate scientists had written and read lots of papers produced by themselves, or their friends who had also written and read lots of papers. If special readings of a paper had resulted in the paper being published in a Journal, this meant it had been “peer-reviewed” – and therefore was the right kind of paper. But if a paper was peer-reviewed and they didn’t like what it said (or the person who wrote it) then, they declared, it was the wrong kind of Journal. And they had meetings and sent out press releases and travelled to nice places making presentations to each other about the cherries they’d picked and the data they’d smoothed and/or fudged – and the tricks of their noble trade. They weren’t very happy when some people bothered them by asking questions about the computer programs, methodology and data they were using for their papers. They were even less happy when anyone found a mistake in their work. The mistake doesn’t change anything, they invariably declared; the science is sound and the consensus is scientific. The seas will rise, and the ice will melt and the glaciers will disappear and our carbon dioxide will be the primary cause: this was the scientific consensus, they assured their journalist friends, who dutifully – and unquestioningly – passed on the word to their readership, echoing the call that we must act now! “Claims such as ‘2,500 of the world’s leading scientists have reached a consensus that human activities are having a significant influence on the climate’ are disingenuous. 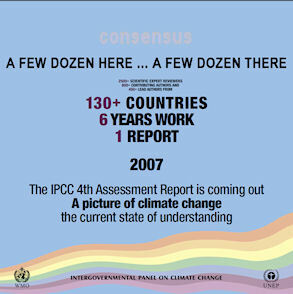 Clearly, those who’ve been peddling the “overwhelming scientific consensus” myth (including IPCC Chair, Rajendra Pachauri) have been misleading the public. Their “consensus” has suddenly shrunk, to underwhelming (and less than lilly white) proportions. I, for one, was not in the least surprised to learn this. Nor, I suspect, were many others who’ve often expressed doubts regarding the veracity of the all too frequent appeal to the authority of “thousands of scientists”. When I read this emanation from Hulme’s keyboard, I did think that he would have done the world a great service had he mentioned this some years ago. But better late than never. I even began to develop some respect for him. As great as my discomfort is with Hulme’s depiction of climate change as being “so plastic”, I was even prepared to chalk this expression up to some esoteric turn of phrase that is unique to practitioners of post-normal science (of which Hulme is indisputably one) – and probably has a meaning to them that bears no relation the common understanding of this word. Not unlike … oh, I dunno …. “trick”, perhaps. I should therefore instead have written in the original PiPG article, “Claims [made by commentators, not the IPCC] such as ‘2,500 of the world’s leading scientists agree that most of the observed increase in global average temperatures since the mid 20th century is very likely [greater than 90% likelihood based on expert judgement] due to the observed increase in anthropogenic greenhouse gas concentrations’ are disingenuous”. This much more specific example would have served my point much better. Ah, he “believes”. How very, well, evangelical. Now, if he could only point to some non-computer-generated evidence that human-generated carbon dioxide is the primary cause of this “observed” increase, perhaps we could make some progress. But I won’t hold my breath. Thanks for brightening my afternoon. Hulme is in a curious postion and well worth watching as events unfold.. watching him navigate his way with this article and then the ‘clarification’ – thanks for pointing to that! – and this recent speech on modelling uncertainty: http://www.crassh.cam.ac.uk/gallery/114 . In the years between the release of the 4th IPCC report in 2007 and climategate, Hulme was putting out a message to dampen down the alarmism. The message was Call off the Apocalypse! And so, yeh, this might first give him as a moderate, a Judith Curry, willing to brave the middle ground…Lets not be so hard on him, eh?. But, Hilary, I think you recognise (as more folks are now realising) that his role in this drama could be the most corrupting and pernicious of all. The really scary thing about the likes of Hulme is the way they use a social science approach to abuse their role as public scientists and legitimate its corruption by propaganda. Hulme criticises scientist spouting alarmism not because they are distorting the truth of their science, but because the alarmism is not working. Not working as propaganda. Not working in changing the behaviour of the public. And so he operates to reduce the public debate over the science to a political debate, even where other pro-AGW scientists are trying to do otherwise. In his book Why We Disagree about Climate Change he attacks scientists who claim alarmism is based on the facts of their science. And even despite their protests to the contrary, he presuming that they are telling scary tales for the purpose of propaganda. Whenever he discusses those more alarmist than he, he presumes that these scientists are distorting the science, going beyond the evidence…that they are, well, lying. An accusation of lying is how they would see it, and that is how we would see it. But for where Hulme is placed it is not this at all. He is not accusing them of lying, but of choosing the wrong strategy. Sometimes explicit, but always implicit in his writing and interviews is that it is OK for scientists to give a distorted view of the science so long as it works as propaganda for a virtuous cause. In this ethical domain we would never know when a scientist were lying or even whether Hulme is not lying to us right now. Consider then that we outsiders, we bloggers, the public, we can argue the the evidence with the alarmist science whom he attacks. But this is already irrelevant in the discursive domain occupied by Hulme. There it’s all about what you can put over, what you can get away with, how much spin is gonna work. And the sceptical outsider is not only illegitimate in a conventional discussion of the evidence, but evidence is irrelevant except where it supports a crude dogma (like the ‘for the record…I believe’ Confession of Faith that you quote from the close of his ‘clarification’ – marvellous!). Through reading a great deal of his writings and some personal communications, I get the impression that Hulme is utter sincere not only in the virtue of his cause and the virtue of his means — including the implicit condoning of scientists lying about science — and he is incredulous to those who see it otherwise. History tells us that when the likes of Hulme prevail then we are in a dangerous political situation…and so Hilary, I applaud your vigilence. Hulme certainly seems to have acquired a coat of teflon! I find it quite odd that no one from the alarmist camp appears to have challenged (or attempted to denigrate) Hulme, in the same way that they have (for example) jumped on Judith Curry! But perhaps that’s because they know that in his heart of hearts Hulme continues to be a firm “believer” in the efficacy of the “stories” they continue to tell. re Hulme, I take pretty much Bernie’s line except that I must say a good word for anyone attacked by Michael Mann for being insufficiently doctrinaire (Mann sneered at Hulme recently). It is impossible to believe that Hulme could have, oops, forgotten all that…. one brief email, sure, maybe, but not that huge extensive series about a campaign as important to him as that signing document and the Kyoto process. No way.